EducAid celebrated International Women’s Day on 8th March at all EducAid schools. Here’s a school-by-school overview of how EducAidians celebrated and some highlights from this term so far. 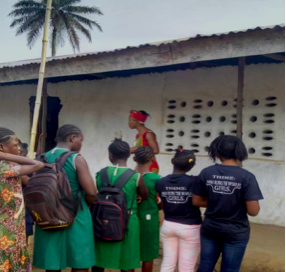 As a way of spreading the EducAid vision and values to other girls in Sierra Leone, the Rolal Girl Power Group engaged in a collaborative visit to other schools within Port Loko to help educate girls about gender equality, female leadership and the growth mindset. They started building their relationship with other schools by inviting them to football friendly matches, which gave them the opportunity to interact and learn from each other. 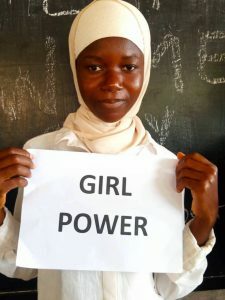 The Rolal girls are looking forward to changing the mindset of other girls within Port Loko town by providing them with the education needed to change and motivate them to help them achieve their full potential in society. 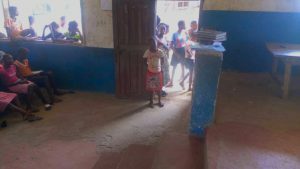 The student’s have been taking Ubuntu sports lessons once a week, including boys and girls football, sack races and other field events. 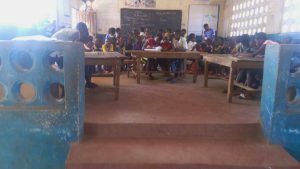 The Magbeni students have successfully gone through various trainings in phonics and peer mediator sessions with group leaders, family leaders and prefects. 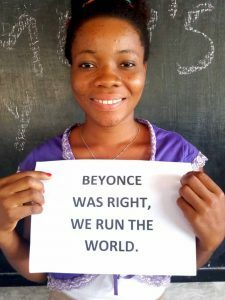 To celebrate International Women’s Day in Lumley, the girls gave short speeches affirming the strength and power of women, as well as encouraging themselves and the other students. 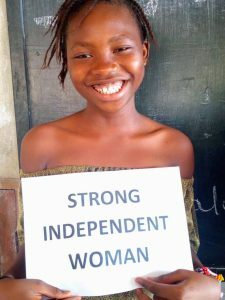 One girl said, “I have turned I can’t into I can, and my dreams into plans”, and another affirmed that “[women] see possibilities everywhere”. Find a short clip of them singing together over on Facebook. Each Wednesday the students have a debate competition. Because of this, the Lumley school won the inter secondary school Spelling Bee and debate competition for all secondary schools within the Lumley community. Additionally, the pastoral team have successfully completed training on community service for all the students. The training was really helpful to students because it helped them to understand the importance of community service. One of the great things happening at Maronka is the way in which they use the Friday assembly to help students gain confidence in speaking in front of others and develop literacy skills. These opportunities have been outstanding for the students. The Primary inter-club competition – each club sends forward a representative to present something to the assembly. At the end of the month the club with the best presentation receive a prize. The Primary inter-tutor group research quiz competition – the students use an encyclopaedia to help them, and this activity has helped them develop their literacy and thinking ability. The inter-tutor group spelling bee competition. The staff at PBM held a community engagement meeting on EducAid’s child protection policy. They were happy about the new policy, and it was a great time with the PBM community. PBM also celebrated International Women’s day with student presentations. Watch a short video of some of the PBM girls singing a song for their presentation on Facebook.